1.CALL TO ORDER: The meeting was called to order at 5:20 p.m.
2.ROLL CALL: All Directors of the Board and advisors were present along with members Andy, Alicia, Nancy and Tanya in attendance. 3.INTRODUCTION OF ADDENDUM ITEMS: there were no additional items to add to the agenda. 5.DECLARATIONS OF PECUNIARY INTEREST: There were no conflicts of interest. 6.ADOPTION OF MINUTES (PREVIOUS MEETING): Moved by Joel seconded by John that the minutes of the previous meeting be approved. The minutes were revised to include the mention of Mr. And Mrs. Claus being present along with pictures with them being taken. 7. BUSINESS ARISING: Frank Sebo gave an update with respect to the Canadian Tire fishing Derby for Jumpstart and the fact that they may have to move to Cook Bay with prizes being drawn at the Canadian Tire building and that the town had been asked to waive parking restrictions. Karen reported on new signage: The last one in the series will be installed on the Baseline. Karen also reported that the York Federation of Agriculture met at the Region re: farmgate sales to promote “agri-business”. She indicated that such activities seem to work with independent boards in the Region. What makes a good farmers market is yet to be solidified. We will be trying for a pilot project in Georgina. With respect to those items Nancy suggested a “pop up”. Andy suggested that we should just invite people to the park to sell their wares. Is that possible? Karen indicated that it was still possible but that applications for a board for a farmer’s market board were being taken. Karen said that she would check with the organizers as to the success of an event in East Gwillimbury. Nancy indicated that most of our problem was that local produce comes later in the year and it makes it difficult to compete. Frank asked where the identification sign on highway 48 was? Karen indicated that the town was just putting it up through the Provincial Agency- Todd’s Signs. Steve brought up a housekeeping item asking that between board meetings members should reply to Steve on issues needing input “in between” meetings. Tanya from H & A bookkeeping was introduced as a new associate member. 8. DELEGATIONS/SPEAKERS/DEPUTATIONS: There were none. 10. COMMUNICATIONS: there were no written communications received. 11.01 Lighting review: Steve reported that the BIA had a very successful lighting ceremony. 11.02 Chanukah party review: Steve reported that the electrical box that runs from the gazebo is a dangerously in need of repair. The Hanukkah event went quite well and the participation of the Lake Simcoe Arms is appreciated. 11.03 there was a poor turnout for the ugly sweater run but nonetheless $200.00 was raised for the Georgina food pantry. For next year of the BIA will help to promote that event. 12.UNFINISHED BUSINESS: there was no unfinished business. 13.01 MAYOR’S LETTER: Steve noted that the BIA had received a letter of appreciation from Mayor Quirk in respect of all their efforts throughout the year. 13.02 ECONOMIC DEVELOPMENT: Karyn indicated that there was to be a review as to what administrative help for the BIA the town can provide. In addition to that review there is to be a review on the whole issue of where the Town of Georgina is with respect to the development of the industrial park area. She indicated that the town and the owners were moving forward and they need to fully evaluate the issue of who does what. On another topic, one of the areas to be reviewed is the possibility of an individual being hired for one day a week to work on behalf of each (all) BIA. This would be at a cost to the BIAs. Karen indicated that while we may not be there yet, we could possibly look at it as a one day a week position in 2017 in conjunction with the other BIAs. Andrew pointed out that a single fulltime executive director would require a minimum of $60,000.00 per year where even 1/5 of that (1 day per week) is currently unaffordable. Karyn indicated that the large logistical support from the Town cannot continue as was the case in the past due to budget restrictions. With respect to printing of documents she indicated that yes, the Town will continue status quo for now. 13.03 EDC GRANTS: Karyn indicated that the EDC grant applications were ongoing and that there was still room ($) available for applications as of now. For example, a February application would be dealt with the board in March. 13.04 AGM: The Sutton in BIA annual general meeting is February 9th. 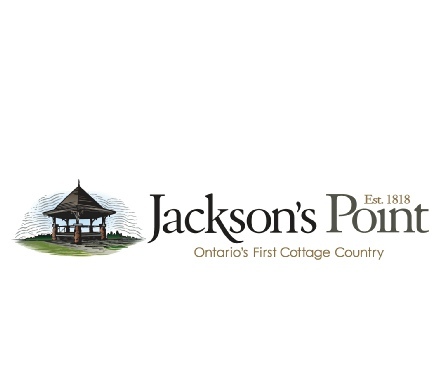 It was agreed that reasonable notice should be given to Jackson’s Point BIA members and that Thursday February the 25th at 8:00 AM at the Lake Simcoe Arms or the Briars (tbd) was suggested. 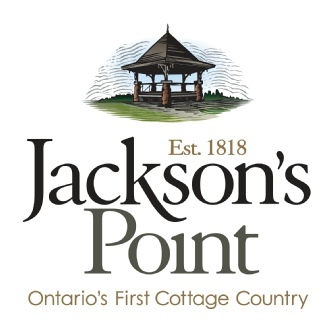 Moved by Joel and seconded by John that the Jackson’s Point AGM be held February 25th at 8:00 AM. CARRIED. 13.05 EVENTS: Music Series: the time of day for our music series was discussed and the decision was made to do all of the events in the evening from 5:00 to 8:00 PM. Steve has set up a contest on face book for the public to pick the movies (from a list suggested) that are to be shown for the movie series in the park. A jazz festival was discussed as being a possibility. Considerable discussion took place with the result that Steve will meet with John Monroe who has experience in Jazz concert development. Andy indicated that he felt we should look at “pop-up” invents and he volunteered to investigate the possibility. Joel and Steve indicated that on April 9th a Yuk Yuk’s Comedy Night with 100 maximum people will be held upstairs at the Arms with the BIA to get $5.00 per ticket. Andrew indicated that the Briars is holding a musical series during the last two weeks of July with artists to be announced. Steve reminded that our last year’s golf tournament brought in over $600.00 with only two weeks organizing ahead of time. This year we intend to hold the event at the same location involving a nine hole (36 people) shotgun start. Members need to source prizes for the tournament. Steve also indicated that there may be no lighting of the Menorah this year because of when the Jewish holidays fall. He will report back further at a later date. 13.06 Capital purchases – to be discussed with the budget. 13.08 Summer Shuttle – The issue of the establishment of a shuttle transportation system was discussed at length. Options include golf carts that carry 68 people moving from the beach to the town or any other mode of transportation was desirable. Questions arose as to insurance costs and the need for slow moving vehicle permits. Karen is to find out from the town about such permits. Insurance would be the cost of the BIA. 14. ONTARIO BY BIKE – Steve indicated that for this activity to be successful, we need a minimum of five businesses including one restaurant and one food attraction. Stops for cyclists are required to have first aid kits and training in CPR, bike repair kits, and public washrooms available to cyclists. As part of the program signage would also need to be developed along with the cycling friendly map to be ready for this summer. Lastly, Steve indicated that he has been assured that ten bike racks will be installed in the spring as reported by Dan Mernahan at the Town. 15. OTHER BUSINESS: It may be possible for the BIA to use the Jericho sound system depending on timing. John will check and this would save the BIA $ if they didn’t have to purchase a system. It is also possible that we may be eligible for a grant from South Lake Futures for a system. Tanya reported that the first meeting of the Georgina business networking group was held with 50 people in attendance. That is an excellent start and their next meeting is scheduled for February 23 at the LINK at 7:00 PM…. Cost is $10.00 which includes desserts. Moved by Andrew that the meeting be adjourned at 7:30 pm CARRIED.